When my husband and I got married, the best gift we could receive as poor college students was cash. 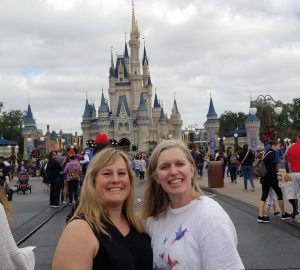 Mainly we had no idea what items we needed in our newly married life (like a microwave or a step ladder) so the cash gift became our favorite gift. Cash could become whatever we needed. Ever since that time I have been a supporter of the cash gift to newlyweds. 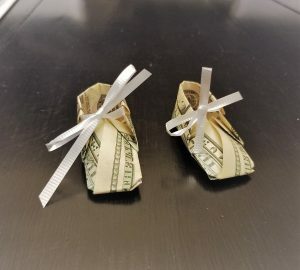 It seems that now couples are increasingly asking for wedding guests to give to the “honeymoon fund.” Setting aside my dislike of that new tradition, it is apparent that cash gifts are desirable to many newleyweds. Now give that gift with a little pizzazz. 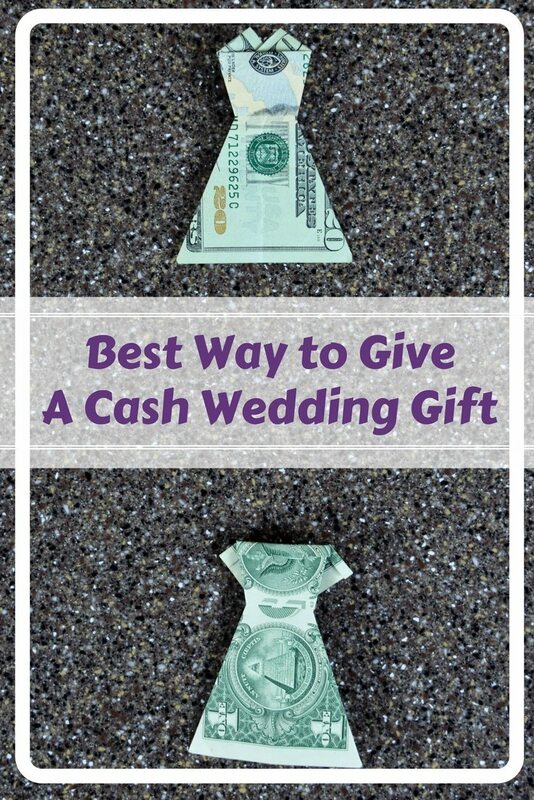 Fold the cash wedding gift into an origami dress. 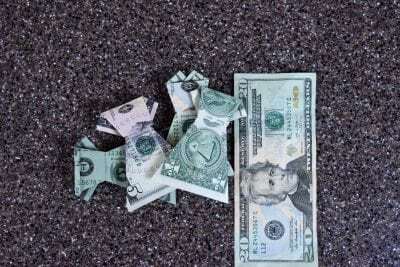 You get to choose your denomination for the gift so that is nice, if you need to make an odd amount or don’t have a $100 bill on hand, you can easily fold multiple origami dresses. I did my examples with a $1 bill and a $20 bill. This was mainly because that is what I have on hand, but perhaps you live more lavish than myself and would be using a larger denomination. The fun part about doing mulitple bills is you could decide to make a mens shirt to pair with the dress, for something more a couples gift. 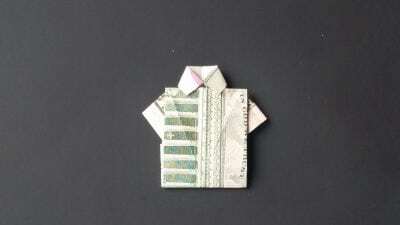 Check out the tutorial Easy Money Origami Shirt, if you want to do that as well. I seem to run into people who don’t like unfolding the origami money, but I leave that up to the recipient. I do not intend in any way for any recipient of a money origami gift to leave it in that shape forever. I would never be opposed to someone unfolding the money. That’s the practical joy of the money origami dress. 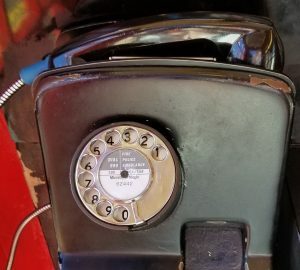 You get cash in a fun way and you can still use it. Unlike some of those cash gift trick boxes that you may never get open. I gave an origami dress to my niece at her bridal shower since I was going in on a group gift for her actual wedding present. That’s another thing I love fore wedding gifts, group gifts. It’s nice to get together and give more than just what we can afford individually. Plus if someone else takes on the responsibility of shopping, wrapping and delivering even better. But when a group gift option isn’t available to me I like to give cash, because some other guest I don’t know if bound to do the same and then it’s like a meet-up group gift so newlyweds can get the closet organizers they had no idea they would need since his and hers have to fit in half the space. Do you have a preferred gift for weddings? Or do you just give cash like me?